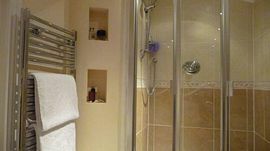 Recently, the property has been extensively refurbished and upgraded, bringing this town house back to life; all rooms are comfortable, spacious and full of character. 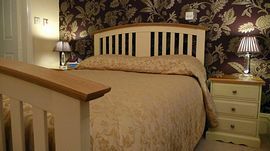 Alnwick is a great place in which to explore all the attractions, heritage and culture within the county; kick off your shoes, sit back and relax afterwards, in one of my lovely well appointed bedrooms. Alnwick was recently voted the best place to live in Britain, by Country Life magazine; there were several criteria, which had to be met including, the best for community, beauty, local produce and affordability. Alnwick came in number one 'by a country mile'. Alnwick is filled with history, with its castle dominating the landscape; it has been the home of the Dukes of Northumberland since 1309 and more recently shot to fame, as a result of the Harry Potter films. 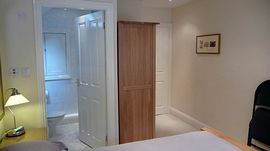 Double En-suite Room: £32.50 - £40.00. 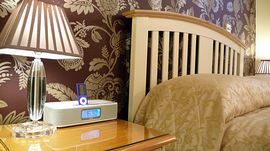 Family/Double or Twin En-suite Room: £32.50 - £40.00. 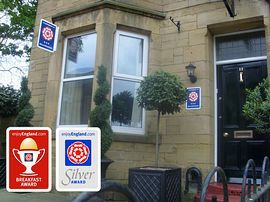 Double Room: £32.50 - £40.00. Follow the main road leading through the centre of Alnwick, and Im positioned opposite Blackmore's Restaurant and 100 yards from Alnwick Playhouse.